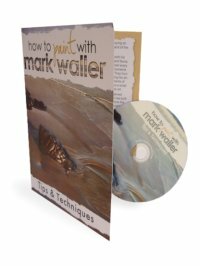 Mark's instructional DVDs showcase his unique, relaxed approach to teaching you how to paint. Dive in! Always wanted to learn how to paint convincing, realistic water scenes? This is no “paint by numbers” DVD, rather it introduces Mark’s concept of breaking down the appearance of water into four easily manageable “elements”. This DVD tutorial is a concise overview explaining the appearance of water and how to paint it in almost any circumstance. Translate these concepts to create your own amazing seascapes from this day forward. MPEG4 file (MP4). Playable on QuickTime Player (or your favourite media player). To get the latest version of QuickTime Player for your Mac or PC, click here. 720 x 404 screen resolution. Please note this is a large file. It has been optimised for the best viewing size versus download time. However, this will still take time to download. Our advice? Set it up to download overnight. Want to paint great waves? Understand waves? Learn how whitewash behaves? It’s all here for you. 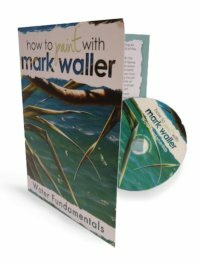 Building on from Mark’s Water Fundamentals DVD tutorial, Water - Foam & Whitewash dives into more detail to create your own convincing waves & wavelets, whitewash trails and foam. Want to start painting? Not sure where to begin? Or, already know how to paint and need some new tricks? Lets get you inspired to paint AND accelerate your learning! In this DVD, Mark shares a mixed bag of his best loved acrylic painting tips and techniques he wishes he knew 30 years ago. How to allow your creativity to flow with the right set up from the beginning. Tips to get you started. Painting surface overview - pitfalls & benefits of different surfaces. Acrylic painting mediums - do you need any? Some handy, unexpected uses for common mediums. How breaking your painting process into stages can help frame your mind correctly and even warm you up for a day of painting. How to keep yourself lit up about painting - it should be fun! Exercises to create simple but stunning effects on the beach. iPad iOS operating system prevents you from downloading this file directing to your iPad. If you attempt to download the DVD to an iPad it may not let you save the file (you may only be able to view it). Please use a different computer device to download and save the file (ie your PC or laptop). You can then import the DVD to iTunes and then sync your iPad to your PC or laptop in order to view on your iPad. On purchase of your downloadable DVD, you will receive via email three download links for the three files which are specific to your computer. To download the MP4 files, simply click on the links. There is a time limit and attempt limit setting on the link (to keep out those nasty pirates!) but please don't worry, if you need more attempts - which hopefully you won't - just contact us and we'll send you another link. I found the DVD series to be very informative, explained in an intelligent, easy to understand manner. From the viewpoint of an intermediate painter, the explanations of what we are seeing when we paint the ocean was enlightening and with lots of hints and tips, very inspiring . I loved the DVD jackets with the paint colours listed inside, I thoroughly enjoyed all three, I look forward to purchasing more! Warm Regards, Diane. It's 10:18 PM here. I've been painting the exterior of our home for the past week ( after painting the interior ) and it's really good to take a break from painting and study a subject I really enjoy - painting! 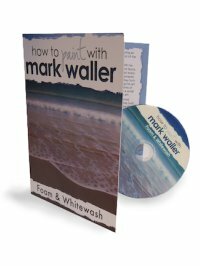 I've just finished watching Mark's "Water Fundamentals" and "Foam and Whitewash" DVDs. Several things stand out in these presentations. It is very clear that Mark has put a great deal of thought in to analyzing this subject. His thoughts are presented in a very and organized, clear and cogent manner. I don't see how it is remotely possible for anyone who does live on the ocean to begin to understand the different layers one encounters in what appears to be a simple wave. In something like two hours of Mark's presentation I now understand why I've spent years unsuccessfully trying to understand what is really happening. It's also clear that I'll need to watch these DVDs at least two or three more times to pick up the subtlies of Mark's brush work and choice of color. Regards, Laurence. Very informative, easy to follow and very easy to get inspired. Irene Lines. I was very impressed, learnt a lot and would be interested in more DVDs. Barbara Tahfe. 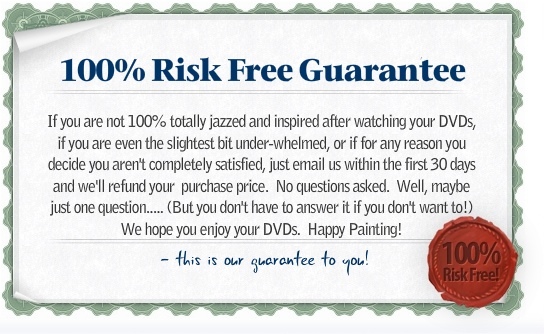 As an oil painter wishing to try acrylics I found your DVD most enlightening and inspiring. I found some aspects of your demonstrations very useful even in oils. Thank you, Bob Jackson. I found the instruction DVDs are extremely informative and straightforward to understand. I have learnt to look differently on how to paint water through the demonstration shown by you on your DVDs. I am learning art through DVDs by different artists. This has allowed me to be diversify with my paintings using different techniques. Looking forward to your new teaching DVDs. Sincerely, Ingrid Laprairie. For more info about Mark and his gorgeous paintings, click here. For the hard copy DVDs, click here!